In the north of Roman Britain the differences between the Romanised and native population following the Celtic way of life were more pronounced. 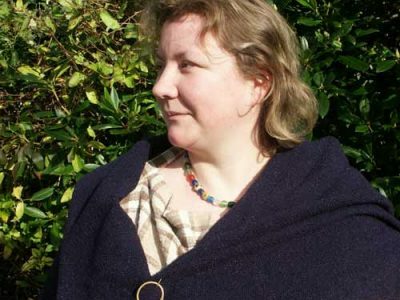 Cara is a Celtic lady from the north of England living around A.D. 100. She tells the story of the Celtic way of life and how it was influenced by the Roman occupation. Her name means friendship. Cara’s father is a skilled metal worker who now makes intricate jewellery rather than the weapons of yesteryear. Other changes to the family’s way of life happened when her sister married a retired Roman soldier. Meet Cara as she is returning, burdened with packages, from a visit to her sister. Don’t be surprised if she offers you a nettle tisane. The impact of the arrival of the Roman army and who invited them. The strange and new imported goods now available. How the style of homes changed. Aspects of life to do with medicine, health, food, leisure time, clothing, beliefs, family roles. 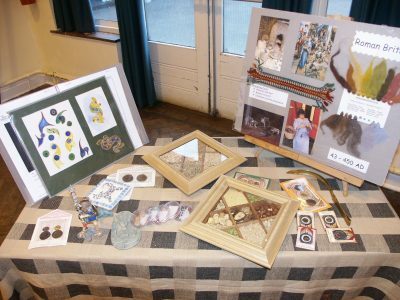 There is no set script for the presentation, it depends on what artefacts or subjects the audience become interested in. However, the material can be steered in the direction(s) desired by class teacher. 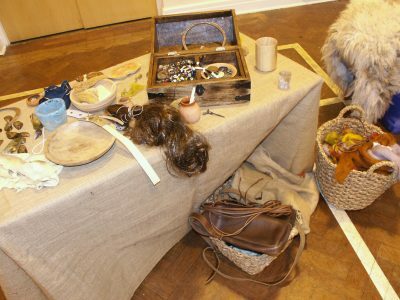 If desired, Cara (or her historian alter-ego) can run workshops with the children in conjunction with the teachers. Or teachers can opt to run these themselves whilst the character works with another group/class. 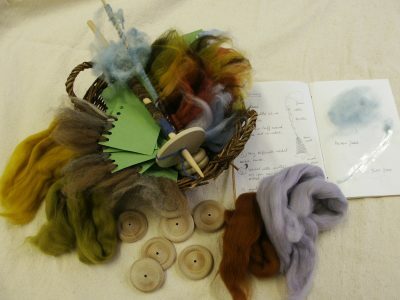 Workshop themes can include: Drop-Spinning, Jewellery, Weaving, Footwear, Food, Artefact Analysis, Pot Making and Clothes.